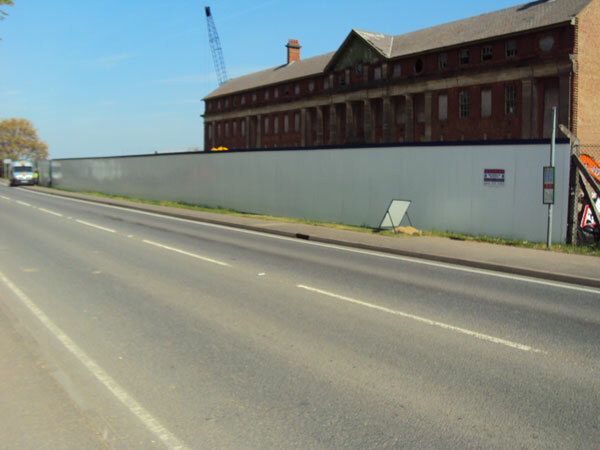 Home › Gallery › Construction Hoardings London – Bellway Homes, New Cardington, Beds. 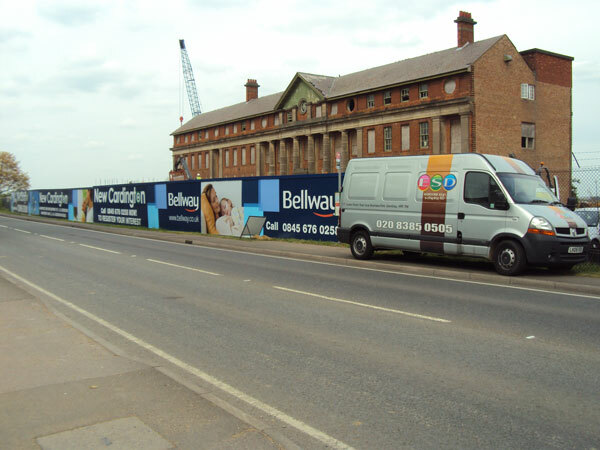 Construction Hoardings London – Bellway Homes, New Cardington, Beds. This is a job we completed last week for Bellway Homes for their new development of houses and flats in New Cardington, Bedfordshire. The 52 panel, high resolution construction hoarding was created and fitted over five days. We can design, produce and install the artwork panels that fit on construction hoardings for developments across London and the south-east. 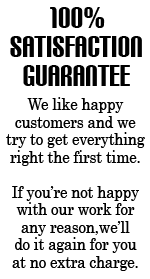 All our construction hoardings come with a 1 Year Satisfaction Guarantee. If any of our hoarding panels suffer in any way from one of the above problems within 1 year of installation, we guarantee to replace the panel free of charge. Call us today on 020 8385 0505 find out why we’re your preferred choice for construction hoardings.